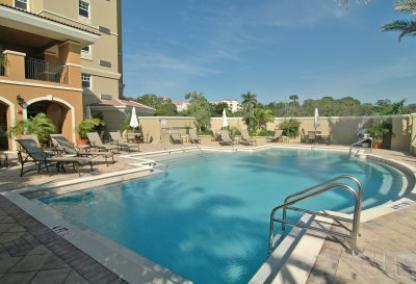 The Broadway Promenade condominiums are located in downtown Sarasota's cultural district. These condos were developed on a six acre mixed use site with both residential and commercial. 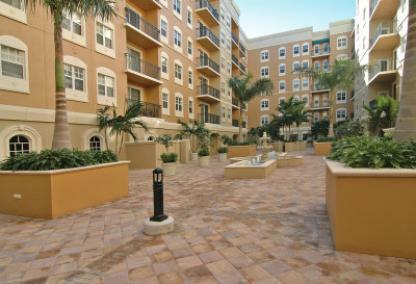 Just footsteps away, owners enjoy the Publix Shopping Plaza, cultural venues, restaurants and stores. Browse our list of Broadway Promenade condos for sale below. Our database is updated hourly with listing details, large photos, virtual tours and descriptions. There are currently 8 real estate listings priced from $272,000 to $438,900. If you have any questions, call out team at (941) 923-7777 or send us an email. Broadway Promenade has a total of 187 condos with floor plans ranging in size from 865 to 2,069 square feet. Private balconies face Sarasota Bay, downtown Sarasota, the park or the courtyard in the center of the building. One, two and three bedrooms units are available for sale at prices from high $100,000s to high $300,000s. There’s plenty to do in the downtown Sarasota area. Within minutes, you’ll be wandering on Main Street and Palm Avenue enjoying art galleries, boutiques, antique stops, local eateries and the Bayfront Park and Marina. Selby Gardens offers nature lovers beautiful native planting to view. Enjoy shopping on nearby St Armands Circle or just spend the day in the sun on Lido Beach.